Our 2-hour sailing tour runs daily at 12:00 p.m. and 3:00 p.m. If you are a private group, please contact us for a preferred time and time. All tours run with a maximum of 12 people. What to bring? Please wear appropriate flat shoes that won’t mark the boat. Be sure to bring a swimsuit and towel. Cancellations can be done up to 72 hours before the trip with 100% reimbursement. For later cancellations, there is no compensation. Venture along the sea in style. This 2-hour luxury yacht sail takes you out of the city crowds and into a coastline retreat. Take your sightseeing to a new level as you cruise along the Mediterranean Sea. 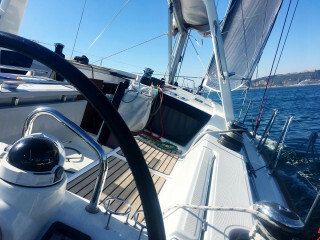 We depart from Port Vell in the very heart of Barcelona after our skipper introduces the modern luxury yacht. From here we coast past massive harbored super-yachts. Once past the glamorous marina, we set sail along the coast. 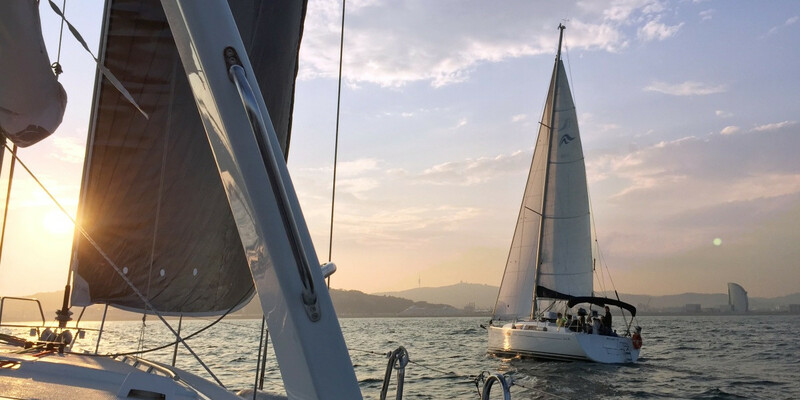 While soaking up the sun, we sail along taking in views of the Barcelona skyline, including La Sagrada Familia, Barcelona Cathedral, Montjuic, Port Olympic, and the beaches. 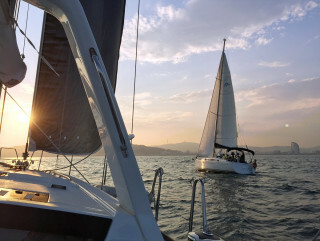 On the boat, you can either kick back and relax with a drink or spend the time actively sailing. Challenge your skills by taking the helm and hoisting the sails under instructions of our experienced skipper. Our yacht is here for you to learn, and we are happy to answer all your questions. Try controlling the boat and make your first steps towards independent yachting. 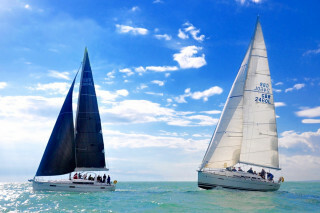 If interested, we provide a full range of sailing courses from initiation to professional. 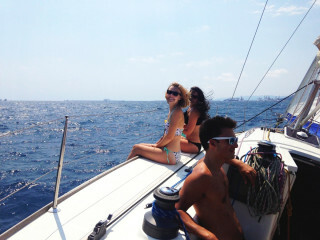 After cruising we stop for a dip into the blue Mediterranean waters, so be sure to bring your swimsuits! The sailing journey ends back in the central, chic Port Vell Marina, surrounded by restaurants, bars, shops and a popular beach. After docking, you'll understand why we like to call this tour a truly therapeutic experience. See you on the water!